*Please note that this is a sponsored post with Capital One Canada – our disclosure can always be found by clicking here. As 2018 comes to an end and I get even more nostalgic (if that’s even possible), I am reflecting on the content and collaborations we have been a part of. I am proud of what we’ve accomplished both as a team of beautiful people around the world, but also as a media outlet. That being said, I haven’t always been the most positive person online and, while I do not ignore the past, I have come to learn from it. The world is a chaotic place and this year I made a very conscious effort to no longer take to the internet to spread hate, hurt or harm anyone in my life. It might seem like that’s a given, but it seems as though many of us quickly (and callously) use our social media to spread negativity when we feel wronged. There is something to be said for keeping those things off the internet, and I wanted to tell you why I stopped complaining on the internet. 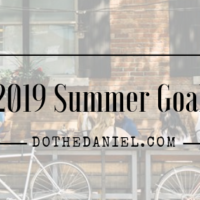 Do The Daniel is a place of inspiration for our readers and followers on our various social media platforms. While life isn’t always roses and smiles, there is a way to handle hard situations in my life that is relatable without being nasty. For example, the anniversary of losing my Dad is this week and I know that I am going to write about it. Not to make anyone sad, but rather to offer relatable content to our audience for those of you who have also lost a parent. It’s not easy and I feel inspired to offer my experience to our audience now that we have grown to be a successful platform. It is also the reason why I support so many charities in Canada and around the world. Because I feel as though it is my responsibility to use my success for good. 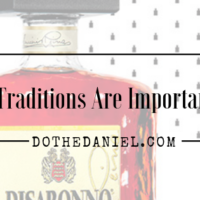 Working with brands who feel the same is a quintessential part of our brand identity. I say no to a LOT of work (and money) because of the alliances or causes that brands support BTS. 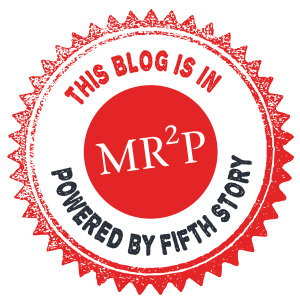 From anti LGBT establishments that distract the world with “charity” to poorly executed advertising campaigns, it’s a fine balance in between wanting to be paid for what I do, and understand that you read this blog because of our authenticity. Who would I be if I put a price tag on that? 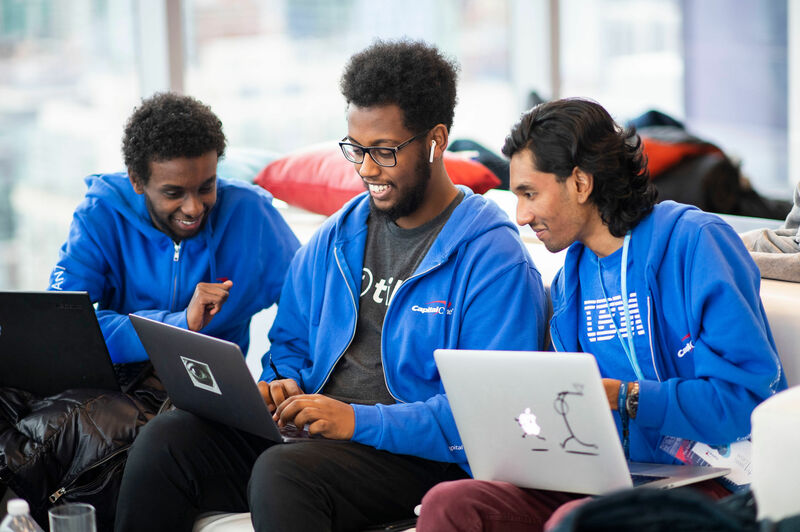 So, if I were to list off some of the brands we love working with who help to support good and positive change, Capital One Canada would be one of the first brands that come to mind. Not only have we shared some pretty spectacular events with them over 2018 (especially reminding me to be more mindful and changing the way I see what I do for a living), they recently hosted an event in Toronto that actually helps change the world for the better. 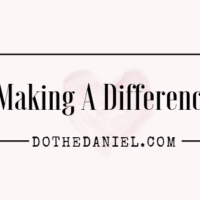 Their commitment to giving back to the communities that support them is inspiring and I wanted to tell you a bit more about it. Now, before I get into the details of the event, I should admit that I am old enough to have a very incorrect interpretation of the word “hacker.” It makes me think of Sandra Bullock in “The Net” – and for those of you who understand that reference, please understand we are very much out of date with what took place this past weekend. It’s okay, I feel old sometimes too. You’re not alone. Gift the Code is something of an industry first in my opinion. Enabling the abilities and talents of bright minds to gather together to provide charities with a digitally driven boost, I am always inspired by the event and its outcome. You should follow the #UseDigitalForGood hashtag to see more BTS from the event, but let me break it down for you. 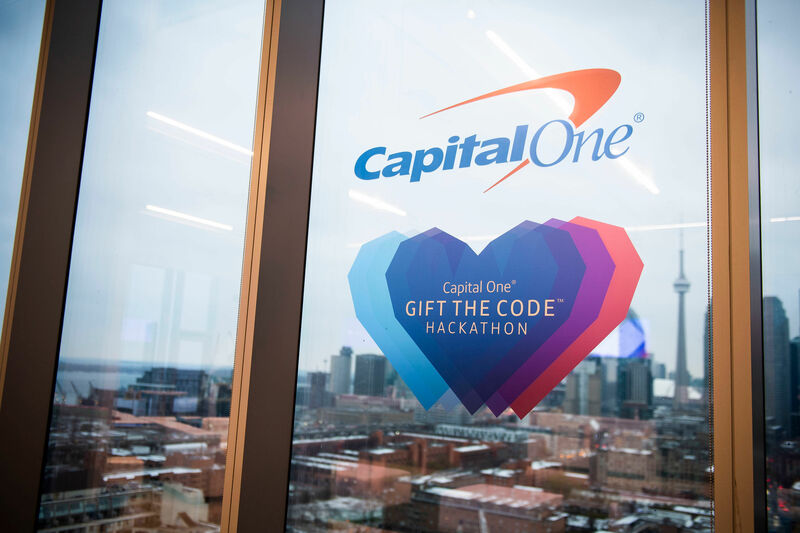 Recently, Capital One hosted its third annual Gift the Code hackathon. 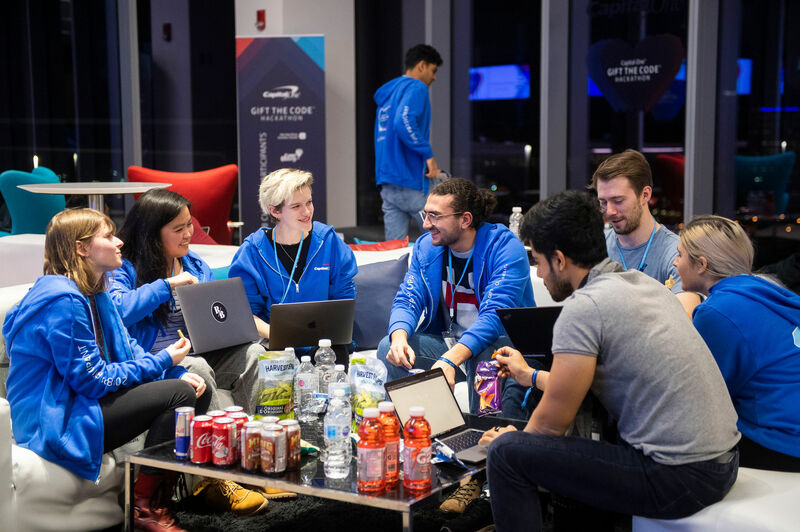 Over 200 participants donated their time throughout the weekend to help six worthwhile Canadian charities come up with digital solutions. Within 48-hours, the teams developed genius solutions to help charities affect change in local communities. I was blown away by the commitment from the teams and what they made. The Movember Foundation is famous for having Canadian men grow moustaches, however they are a favorite charity of mine because of the work they do to raise awareness for men’s health. In that vein, I thought Mo’ Coins, built by a team from Points, was especially ingenious. In a nutshell, it is a Chrome extension, which makes the donation experience fun and allows people to contribute year-round while redeeming points for amazing Movember swag. And of course, Kids Help Phone, who offer support for children in need. Their winning solution was a child-friendly interface, which aims to calm kids while they’re waiting to be attended to. Because Kids Help Phone offers real-time help, the children are often put in queue to speak to a counsellor. The solution helps collect information that will help counsellors help kids, in a fun, stress-reducing way, while the kids wait. In two short days, these incredible people were able to volunteer their knowledge and intellect to literally help change the world for these charities and those that benefit from them. In a world full of difficult realities, it is my duty to share with you something positive, because I still believe that human beings are inherently good and can be kind. I believe that love can change the world, and I believe that giving the universe positivity will hopefully mean one day it comes back to you. Life isn’t always easy as I have mentioned, but my goodness can it be powerful and beautiful because of moments like this. And for this, I thank you Capital One. I thank you for believing in more than just profit and sales margins. I thank you for supporting these great minds and gathering them together for something so incredibly moving and positive. The world needs more of this and I will always be here to support it with you. For this and many more reasons we have shared throughout 2018, we are proud Capital One partners and card holders here at Do The Daniel. For more information on Capital One Canada and their range of products suited to your spending (and savings!) needs on the path to your financial goals, make sure to check out www.capitalone.ca. I encourage you to join the social media conversation while learning more about your credit options by following @CapitalOneCA on Twitter and Instagram, and @CapitalOneCanada on Facebook. 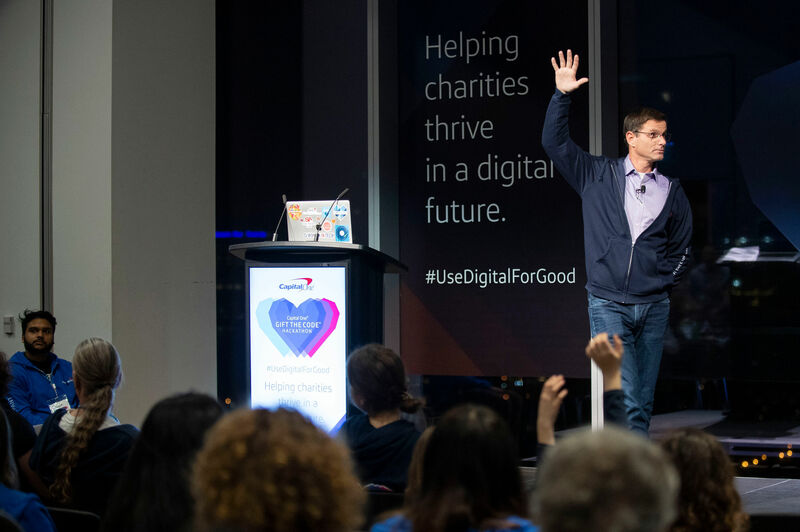 Use and follow the #UseDigitalForGood and #GiftTheCode hashtags to see how our fellow Capital One lovers, partners and all of the amazing volunteers enjoyed their experiences alongside us and to join in the excitement of a positive social media conversation. 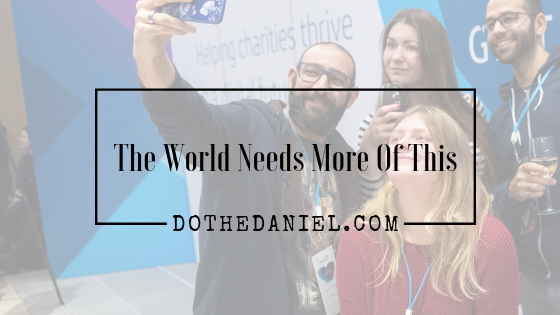 For more behind the scenes information and other amazing brands we are working with globally, make sure to follow along with the #DoTheDaniel Instagram account. 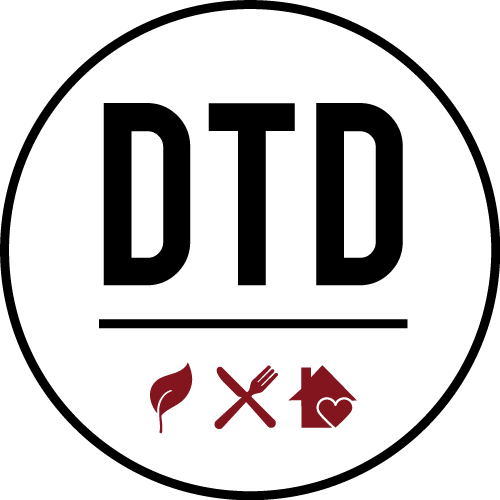 We would love to have you join us on our adventures!